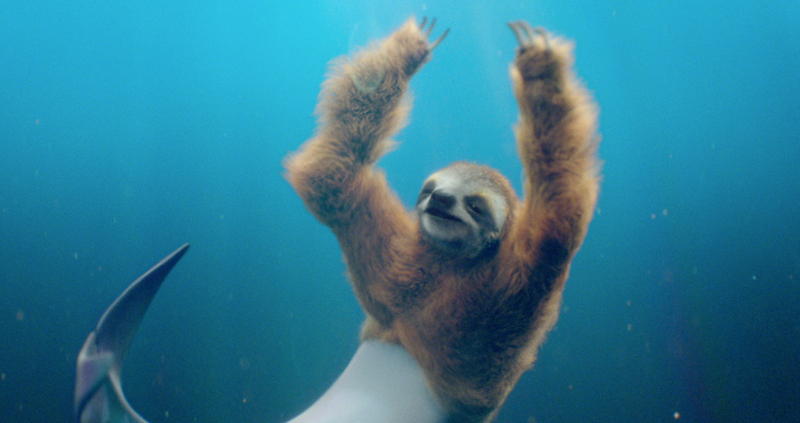 Working closely with Wieden+Kennedy London and The Pelorian Brothers out of MJZ, The Mill have created a 100% CG, ultra chilled ‘dolph-a-sloth’ as well as it’s entirely CG environment for Three’s latest campaign, following the success of the first spot in the campaign featuring a sassy CG giraffamingo, also created by The Mill. 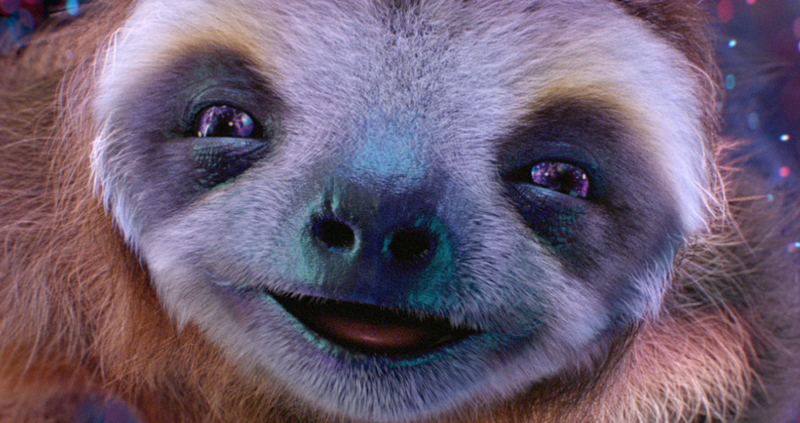 The Mill’s VFX team created the entire magical CG environment as well as designing and crafting the CG dolph-a-sloth character, a half-dolphin, half-sloth hybrid, from scratch, carefully marrying a sense of realism with character in this fantastical world. 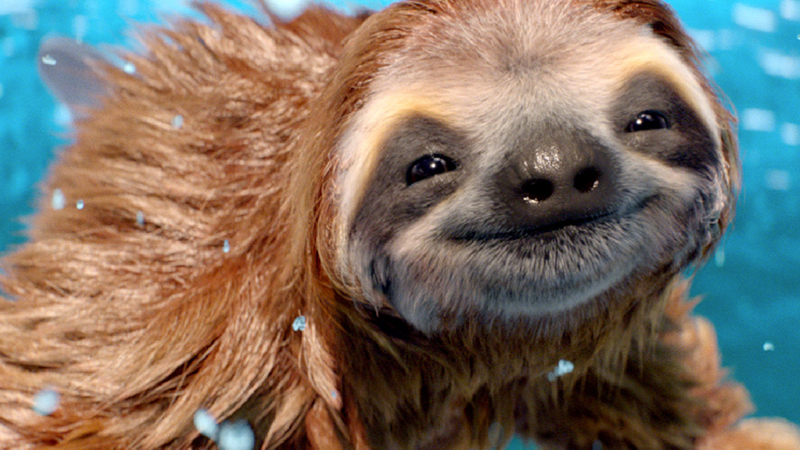 The dolph-a-sloth embodies the feeling Three’s customers will experience when taking advantage of Three’s pioneering new ‘Go Binge’ offering, which allows binge-obsessed customers to watch and listen to popular services including Netflix, TVPlayer, SoundCloud and Deezer, without fear of exceeding their data limit. The spot, which features a voiceover by the inimitable John Goodman, begins with a happy, frolicking dolphin jumping in and out of the sea as it enjoys roaming for free. The dolphin suddenly stops in his tracks, deflated as his data roaming allowance runs out. 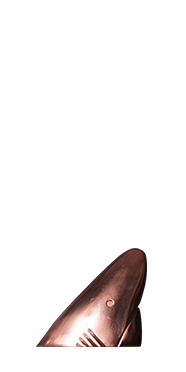 However, before long, the top half of the disappointed dolphin transforms into a satisfied sloth gliding through the air, binging on an infinite amount of data. 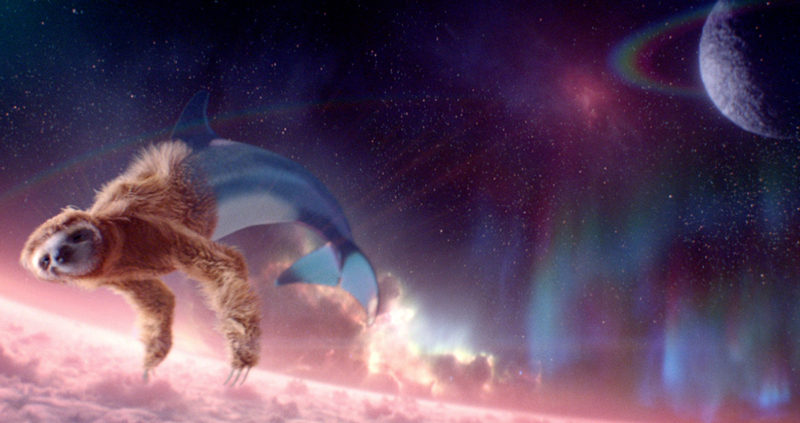 The initial sea setting of the ad transforms into a space-like world filled with rainbow hues, mirroring the transition of this hybrid creature as a nod to the unrestricted nature of Three’s data offering. Mill 3D Lead Artist Sam Driscoll explains, ‘The challenge for this project was to create an instantly likable, albeit unusual character that the viewer can fall in love with. We worked closely with Wieden+Kennedy London to refine every detail of the CG character before arriving on the final design that you see in the film. The water simulation aspect of the spot was also hugely challenging, utilising some of The Mill’s very latest hardware and software to create the unique twinkling aesthetic. 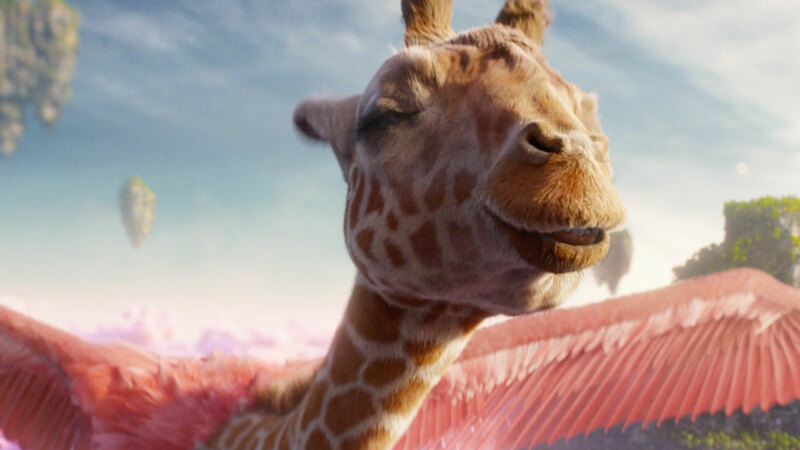 Mill 2D Lead Artist Pete Hodsman comments, ‘Following the success of the the giraffamingo in ‘Go Roam’ we knew we had our work cut out. It is not often you get to create a 100% CG strangely appealing world, so we began by looking at a huge amount of real sea, sky and underwater reference. From that we developed our environments by exploring how to produce surreal yet plausible rainbows and colourful light play in the cloud and space scenes.